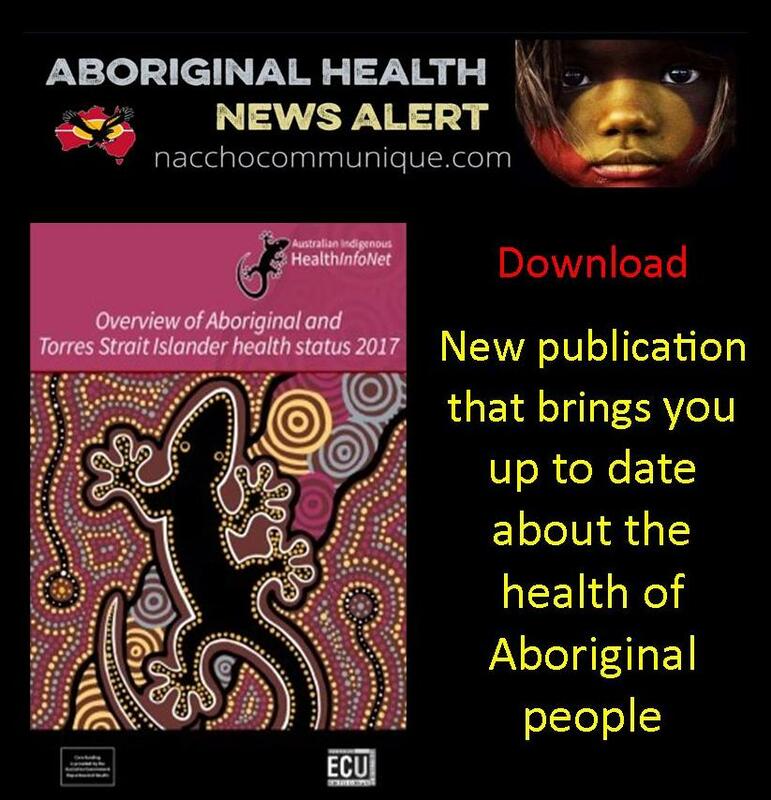 ” The most recent indicators of the health of Aboriginal and Torres Strait Islander people are documented in the Australian Indigenous HealthInfoNet’s authoritative annual publication, the Overview of Aboriginal and Torres Strait Islander health status 2017. The Overview, strives to provide a balance of reporting the emerging positive health outcomes within the context of persisting health inequalities. The Overview draws on the most up-to-date, authoritative sources and undertakes some special analyses. It is freely available on the HealthInfoNet web resource, along with downloadable PowerPoint presentations of key facts, tables, and figures. The Overview of Aboriginal and Torres Strait Islander health status (Overview) aims to provide a comprehensive summary of the most recent indicators of the health and current health status of Australia’s Aboriginal and Torres Strait Islander people. The initial sections of the Overview provide information about the context of Aboriginal and Torres Strait Islander health, population, and various measures of population health status. The remaining sections are about selected health conditions and risk and protective factors that contribute to the overall health of Aboriginal and Torres Strait Islander people. These sections comprise an introduction and evidence of the extent of the condition or risk/protective factor. The annual Overview is a resource relevant for workers, students and others who need to access up-to-date information about Aboriginal and Torres Strait Islander health. Accompanying the Overview is a set of PowerPoint slides designed to help lecturers and others provide up-to-date information.